← Old posts from Wandering Knits now at juliecache! 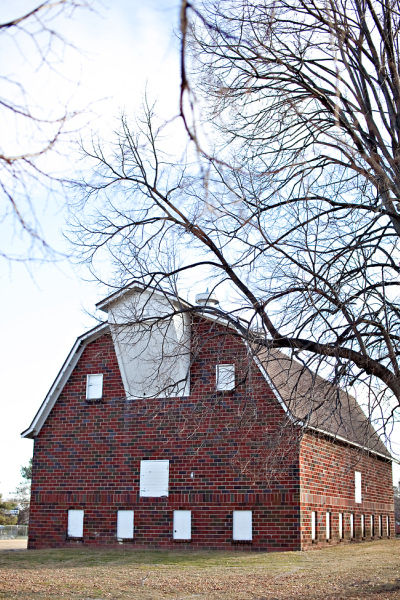 If you live in my town, you have probably heard that the school district wishes to dispose of a historic landmark barn, the Maplenol Barn. Today, I spent a lot of time reflecting on the past week of social media’s influence on the Save the Barn movement. Traditional media (the local daily, a national preservation magazine, to name two sources) has given air time and column space to how very quickly the word spread because of communication via Facebook. Growing to 400 members in 24 hours and 1801 in six days is impressive, but I think this growth points to the source of the original problem: effective communication. I submit that the Save the Maplenol Dairy Barn movement grew because its communication was genuine, instant, suited to today’s citizens, and had compelling content. In short, it was effective. It worked. Using the school district as an example of how to not communicate well, let’s look at Exhibits A-D.
A. The district tried. It approached what it perceived as its 12 best prospective barn buyers. (At least that’s the word on the non-district web.) Everyone wants to increase their odds of success. I get this exhibit. But since this approach was not fruitful, they turned to…. B. Two want ads printed in the daily newspaper during Nov. 2010. You can close your gaping mouth now. I haven’t seen the actual copy, but play along with me. I’m guessing that you, too, did not see the ads. When is the last time you looked for a property in the want ads? Unless you are seeking a farm, or a contract home in an impoverished neighborhood, I am guessing never. If you do get the newspaper, do you ever turn to the want ads for property or news about the school district? I don’t. If I want property, I go to the real estate section. If I want school news, I go to the local section. So when the district states that no responses to their offer were made, I am not surprised. Was Exhibit A or B genuine, instant, or compelling? I couldn’t tell you. I haven’t seen copies of correspondence, notes, or a want ad on the internet. I don’t think there ought to be. That’s internal stuff IMO. However, a timeline of actions taken on the barn issue would be a nice internet resource (the last construction report dates from 2007 and doesn’t include any barn razing). Using my tax money responsibly is desirable, so I might consider the point of being genuine to be a “no.” Then again, to quote from memory, if “the majority” of the twelve parties contacted did not have “strong” reactions to the barn’s prospective razing, then the public is left to wonder what the minority said. I would think that strength would draw pursuit. The “genuine” pendulum swings over to the “no” side a lot more. But let’s move to the last point of my thesis. Were Exhibits A and B suited to today’s citizens? No. I’ll tell you why in a future post. And submit Exhibits C and D.
I’m been hearing about this on the news lately. What a beautiful old building!